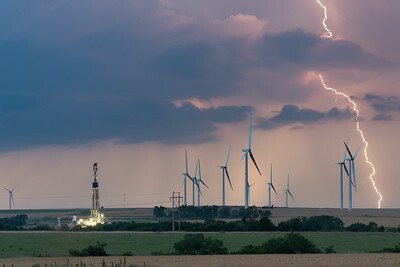 Cloud-to-ground lightning flashes across the Plains behind a wind farm near Seiling, OK, on June 13, 2017. 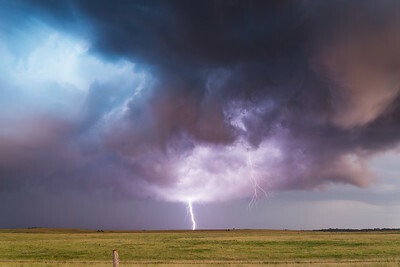 Cloud-to-ground (CG) lightning discharges within a mile of me while photographing a supercell at dusk near Selden, KS, on June 4, 2015. 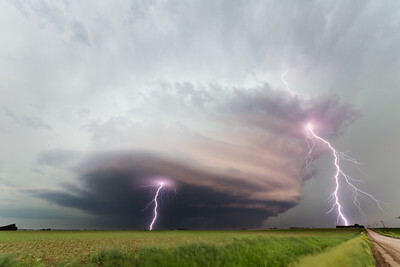 A gorgeous supercell puts on a spectacular lightning show at sunset north of Selden, KS, on June 4, 2015. 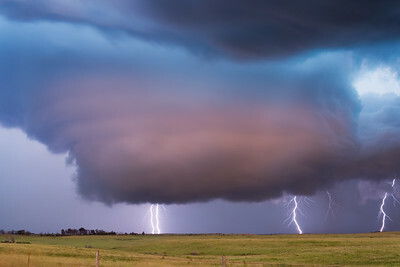 Prolific cloud-to-ground lightning strikes beneath an ominous low-level mesocyclone near Cedar Vale, KS, on September 1, 2014. This circulation would go on to produce a tornado about ten minutes later. 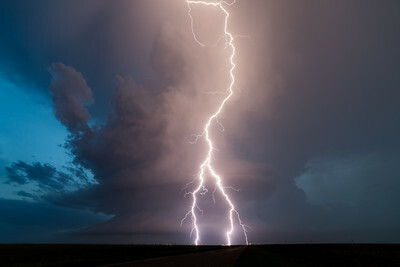 Lightning illuminates an occluded (old and decaying) circulation at dusk near Dexter, KS, on September 1, 2014. 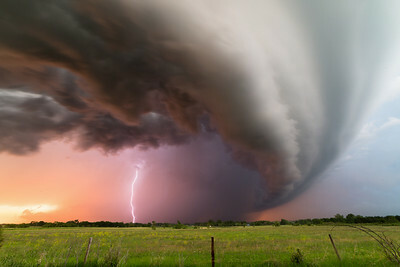 Lightning strikes within the rain core of a supercell thunderstorm at sunset near Petersburg, NE, on June 16, 2014. 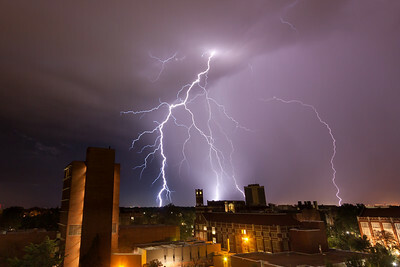 Several cloud-to-ground lightning bolts strike the west side of Norman, OK, during an approaching storm on the morning of October 21, 2013. The University of Oklahoma campus is in the foreground. 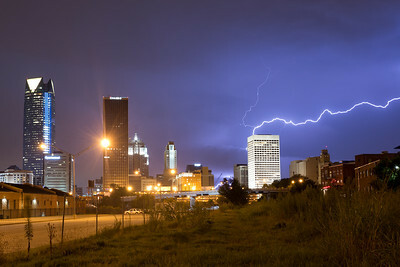 Cloud-to-ground lightning strikes downtown Oklahoma City as a storm approaches on August 12, 2013. 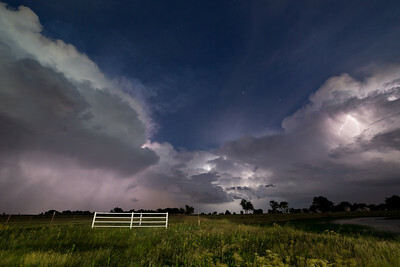 Summertime thunderstorms light up the sky after dark near Lexington, OK, on July 11, 2013. 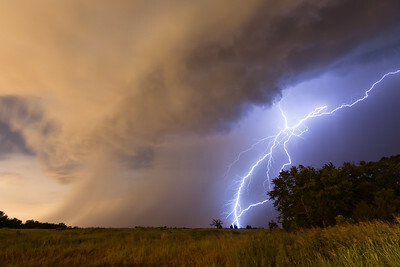 A weak thunderstorm at dusk puts down a lucky cloud-to-ground lightnong bolt only about a mile in front of the photographer. 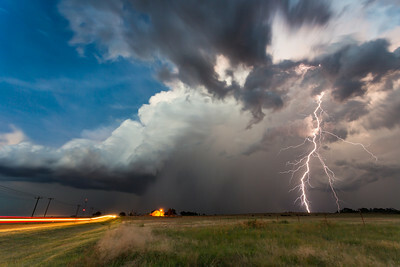 Shot near Lexington, OK, on July 11, 2013. 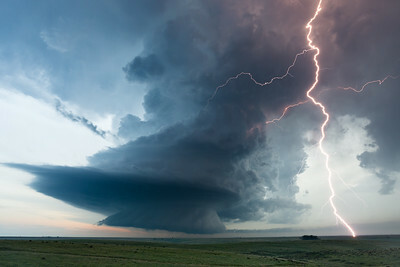 Prolific cloud-to-ground lightning emenates from a classic supercell near West Point, NE, on June 14, 2013. 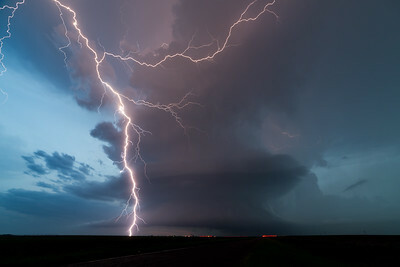 Lightning was nearly continuous with this storm for over half an hour. 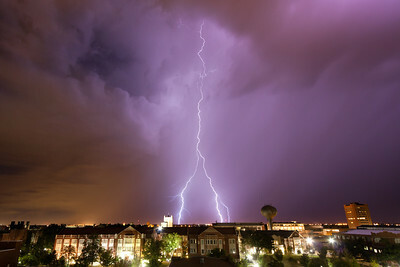 A weak thunderstorm around midnight on September 18, 2011, puts on one of the most spectacular lightning shows Norman, OK, has seen in years. 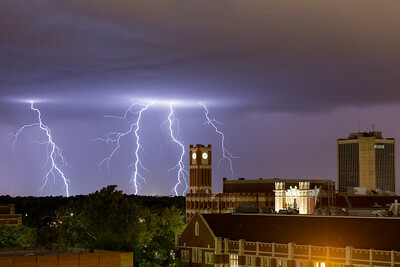 Shot from the top of the University of Oklahoma stadium parking garage. 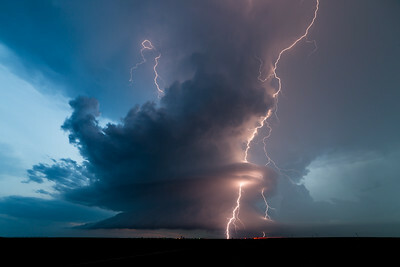 Brilliant lightning flashes throughout the precipitation core of a supercell in the northeast Texas Panhandle at dusk. 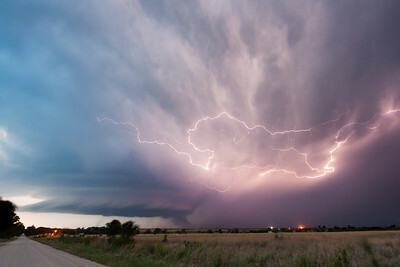 Viewed from near Shattuck, OK, on June 11, 2011. 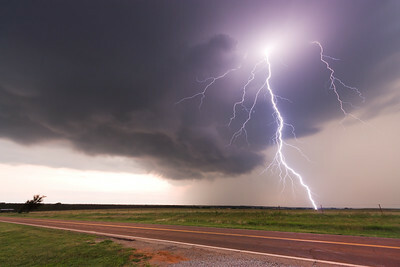 A dangerous cloud-to-ground lightning bolt strikes a field just across the road from the photographer near Cashion, OK, on May 30, 2010. 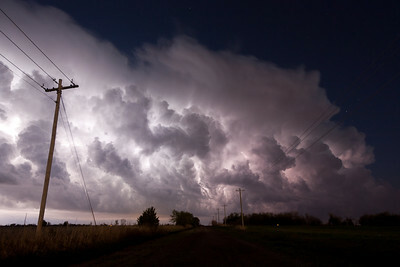 Weak thunderstorms along a cold front are illuminated by nearly-continuous lightning near Norman, OK, on April 18, 2009. 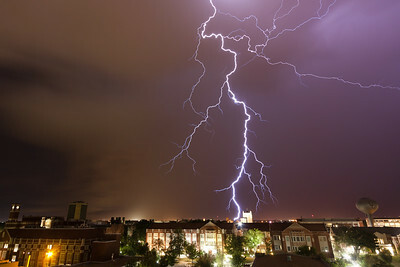 An elevated thunderstorm puts on a lightning show in Norman, OK, just after midnight on June 17, 2008.